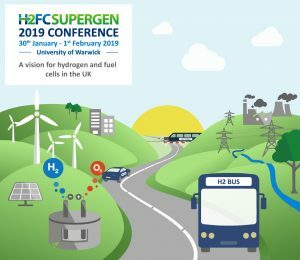 Hydrogen and Fuel Cells are gaining increasing levels of attention from both industry and governments in the UK and globally. This conference will be composed of key-note presentations on technology, policy and industry activities around the world, with key international experts presenting the progress in their respective areas of work and their vision for the sector. Please note, this conference will follow our 2018 Research Conference to be held at the University of Birmingham, 18-19th Dec 2018, in which students and researchers will have the opportunity to give poster and oral presentations instead. We encourage students and early career researchers to attend both conferences.